Secrets are hard to keep when something is this good. 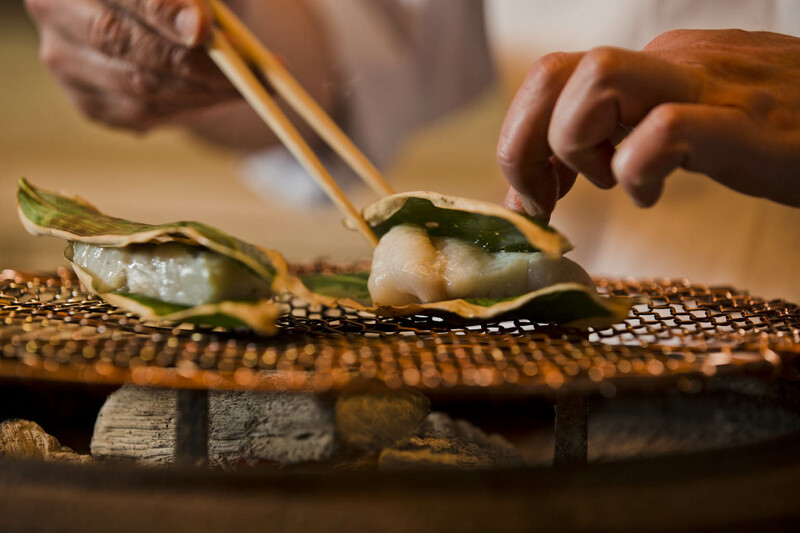 The perfect combination of creative cuisine, atmosphere and omotenashi mesmerizes gourmands from around Japan, but only the luckiest can get in. 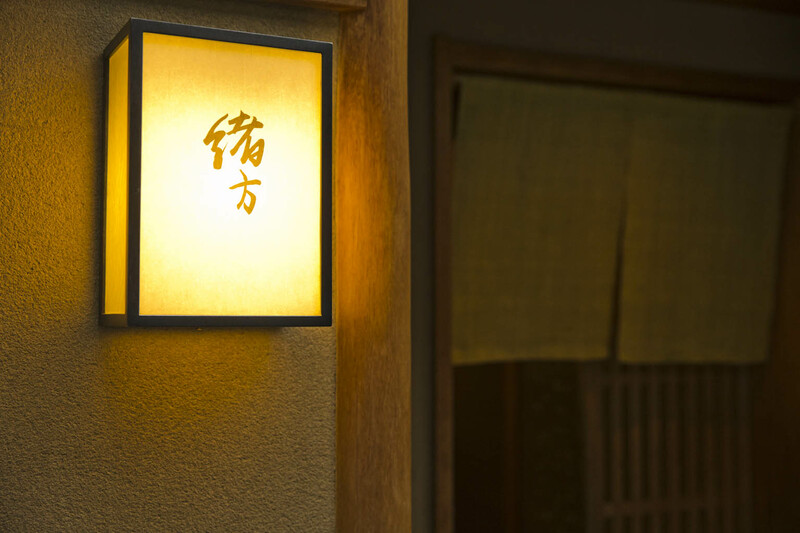 If you are one of the fortunate few to walk down the dotted stone pathway and through the sliding door into Ogata, you can expect impeccable service and exquisite food. A true fine dining experience in Kyoto – the home of the imperial household for centuries, and the birthplace of Japanese tea ceremony and kaiseki cuisine. There is something about Kyoto that takes your breath away. The very name Kyoto brings a flutter to your heart. The beautiful scenes, the sumptuous seasonal cuisine, and the calm pace that makes you take deeper breaths and enjoy each moment. Ogata is the very essence of Kyoto. 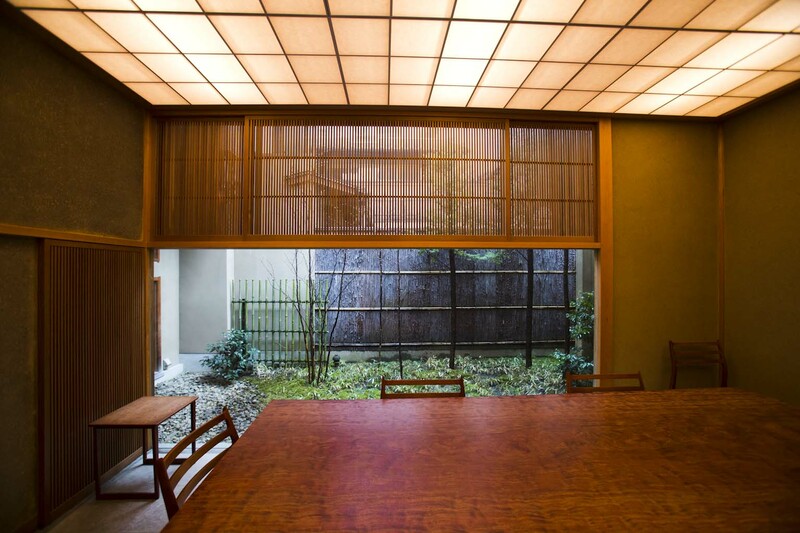 This former home and kimono store has been transformed by the craftsmanship of carpenters who trained under Sotoji Nakamura, the famous architect of traditional Japanese tea ceremony rooms. The architecture is intentionally simple and rustic and separates you from the overwhelming world outside. 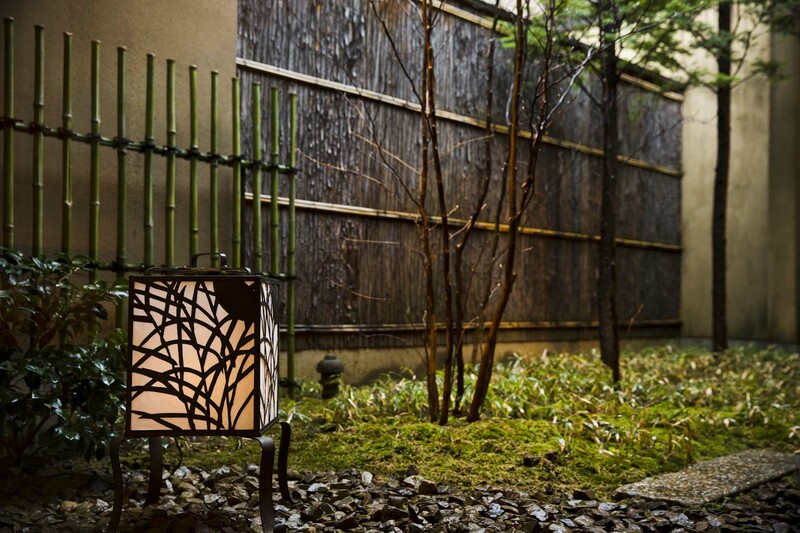 From the moment you open the gate, step past the beautiful old pine tree, and breathe in the delicious smell of Kyoto incense, you ease into an almost meditative state. The design that exemplifies Japanese minimalism is perfectly complemented by beautiful handwoven chairs by Danish designer Moller and a patterned stone floor, which uses the same stones found on the walls of the Louvre Museum in Paris. There is harmony in combining Japanese and European aesthetics. The warm and inviting space includes a counter for eight people and a private room for six at the back of the home, facing the beautifully manicured Japanese garden. Being famous for the near impossibility of getting a reservation is testament to the quality of the dining experience at Ogata. The simplicity of the bold yet delicate dishes means there is nothing to hide behind. Everything must be of the highest quality and prepared to perfection. 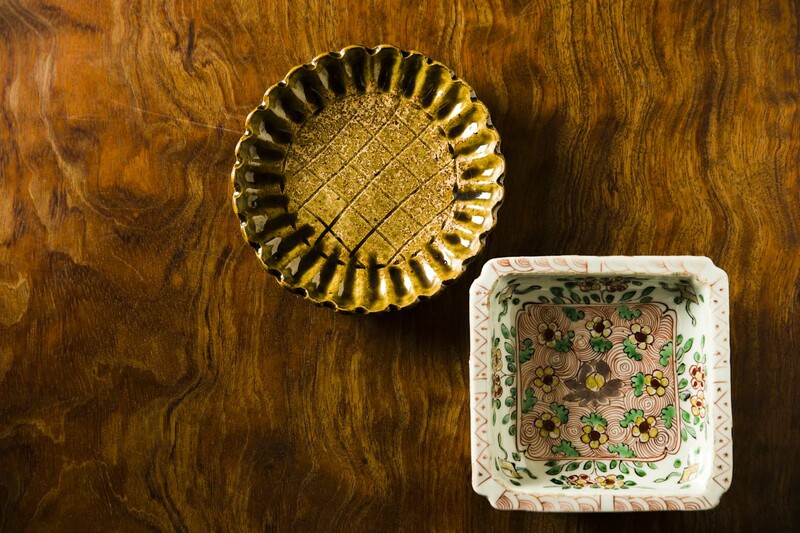 Each dish draws you deeper into an intricate story, woven together as the course progresses. This is traditional Japanese cuisine with a modern sensibility. Without revealing too much, as you need to go and discover for yourself, Ogata has a magical touch. He can make something seemingly ordinary like burdock root sublime. His knifework ensures the most delectable pieces of sashimi. And the use of aromatics, like bamboo grass for grilling red tilefish or yuzu as a cup, is certain to delight not only your taste buds but all your senses season after season. There is absolutely no doubt that Ogata has developed firm relationships with producers of some of the best seafood, meats and vegetables in Japan. His cuisine showcases premium ingredients throughout the year, highlighting the taste of the seasons, not simply limited to spring, summer, autumn and winter. Each tiny shift, a new bud, the moon – all of these affect the availability and flavors of ingredients and tie in intimately to Japanese kaiseki cuisine. From richly aromatic matsutake mushrooms to the prized crab from Taiza Port in Kyoto, Ogata is certain to have the very best. Toshiro Ogata was obsessed with baseball during his high school days in Hiroshima. However, a strong desire to start working seriously and support himself led from a few part-time jobs on to Hiiragiya Ryokan, the stunning, nearly 200-year-old Japanese inn located near Nijo Castle in central Kyoto. 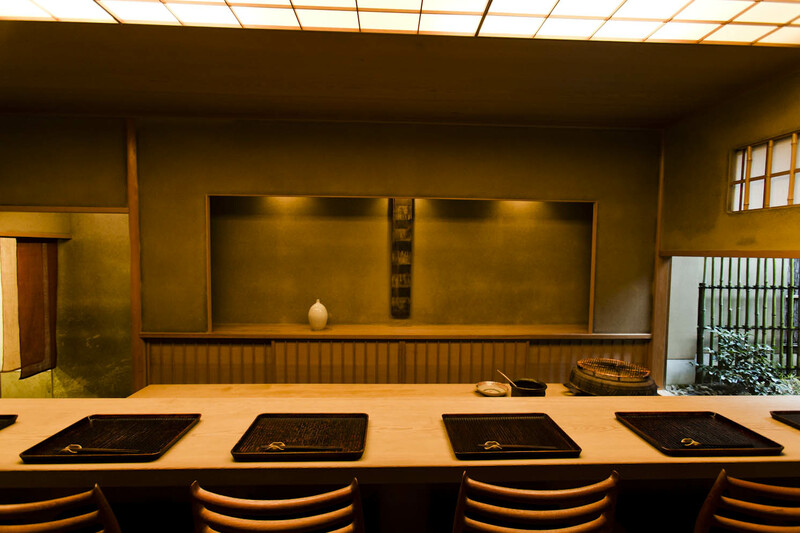 His talents clearly shone, as after several years he was asked to join Wakuden, one of Kyoto’s premier restaurants of kaiseki cuisine, which originally opened as a Japanese inn in 1871. In 2008, after 13 years that culminated in the head chef position, he left Wakuden and opened Ogata, immediately earning high acclaim. A lovely smile comes across Ogata’s face as he talks. He is thoughtful and has a warm manner when interacting with customers, but his modesty means he talks little about himself. He is focused solely on making each guest’s experience as enjoyable as possible, inserting touches in places you may not even notice. Ogata’s vision gives us insight into his success as a chef today. His simple desire is to be changed day to day, and to find something new all the time. Sharing that stimulation and passion with his guests is what has made Ogata’s cuisine and hospitality so special for almost ten years, and is certain to please customers for many years to come. 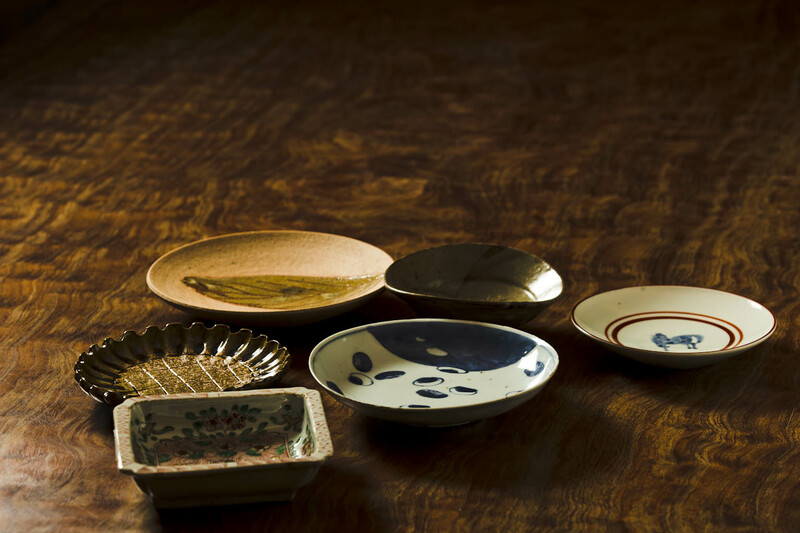 The tableware is selected to perfectly match each dish of the course and includes antique Baccarat and Marris glass items, as well as a large variety of ceramic pieces from a potter named Shiro Tsujimura. Based in the mountains of Nara, Tsujimura has worked quietly by himself, with no master and thus no boundaries, for more than 40 years, developing his very own highly creative and unique style. 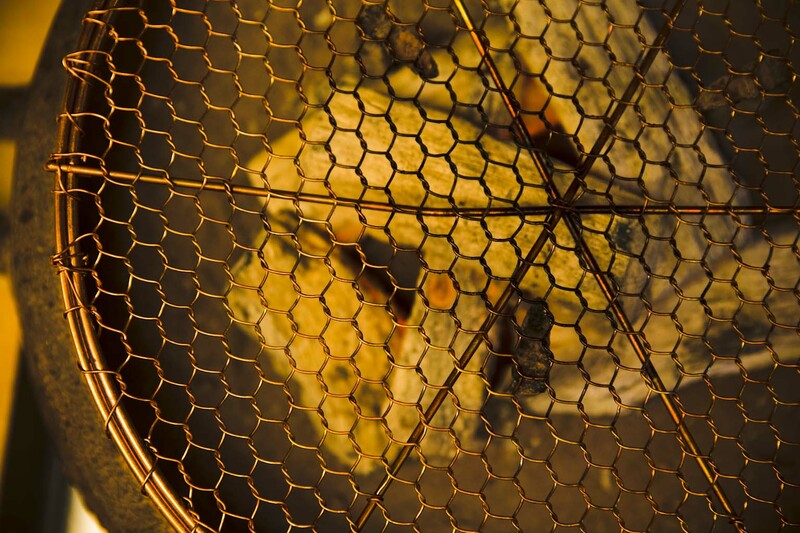 He chooses between wood, kerosene, gas, and electric kilns to achieve the desired temperature and style, but also says that leaving the pieces outside to weather the natural elements contributes to important ageing that finishes the pieces giving them a rustic feel or an antique patina.